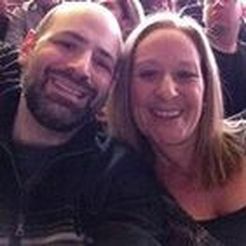 We want to thank Ken for his contribution to the Alagna Racing website. 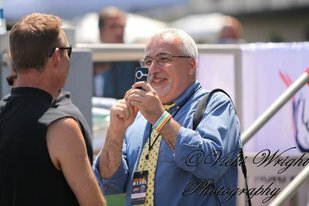 Ken's great photography and editorial work helped set the foundation for alagnaracing.com. Ken Weingartner has worked for Harness Racing Communications, a division of the U.S. Trotting Association, since November 2002. He is responsible for providing stories and photos to the mainstream media as well as industry publications and websites. Born and raised in central New Jersey, his interest in harness racing dates back nearly to birth – the first father-son trip he took was to Freehold Raceway as an infant. Many more trips followed. Prior to working for the USTA, Weingartner was managing editor of the Allentown Messenger-Press, where he wrote a weekly column focusing on the Standardbred horse industry. He received an award for his coverage from the New Jersey chapter of the U.S. Harness Writers in the summer of 2002. He also has worked as the public relations manager for a minor league baseball team and a college sports information director. Twitter: @harnessracenews or @HarnessKenW. 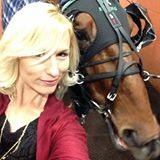 Heather Vitale is a third-generation in the harness racing business. 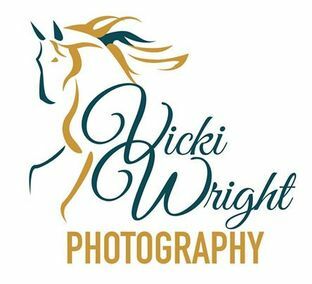 Although she grew up enjoying the hands-on experience of working with horses, the licensed trainer found her forte in the sport through the avenue of publicity. The charismatic personality is currently the host of two popular television shows - Post Time and PA Harness Week. In addition to her local weekly productions, Vitale has covered the sport nationally on espn2 and MAV-TV. The energetic mom also takes enormous pride in her two high-spirited boys, Wyatt and Trey. When she’s not on-air or communicating with harness racing enthusiasts around the world via social media or helping do sixth grade homework, she is raising money and awareness for her favorite charities. Vitale’s unconventional interviews and “when in doubt add glitter” attitude has brought a unique sparkle to the sport and grabbed the attention of new fans.